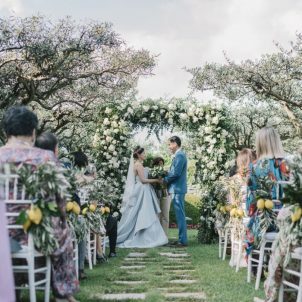 This year, couples are all about keeping their weddings sweet and simple. Don’t want to have a three-course seated dinner at your wedding? Or guests whom you have never ever met in your life? Then there is good news for you; you have plenty of options how to organize your wedding. 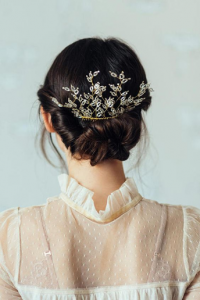 “Cosmopolitan” women’s periodical has presented the list of the most stylish wedding trends. 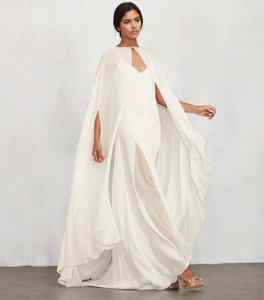 It is very trendy nowadays to wear a wedding capes over a wedding dress. Switch out the dress — and the extra-long train — for a jumpsuit so you can actually dance at your own wedding. 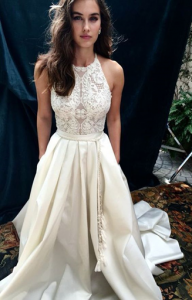 Brides looking for a classic style with a bit more coverage are loving gowns with high necklines this year. Wearing a backless dress? Add sparkle to your look with a chic backdrop necklace. 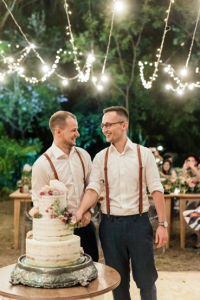 For a more laid-back look, many grooms are ditching ties for their wedding-day ensembles this year. comb, which is also trending. 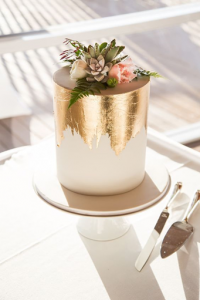 Let your dessert outshine you on your wedding day — metallic decorations for wedding cakes are on the rise. Indulge your fun side by skipping a formal plated dinner. 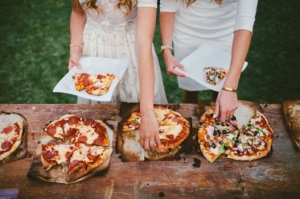 Instead, let your guests hit up a pizza buffet. 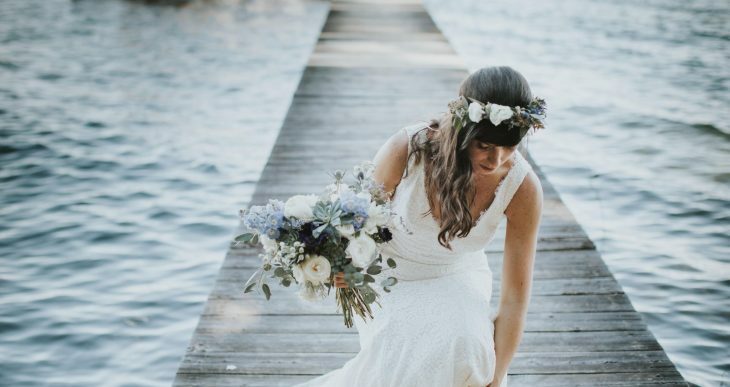 Forgo the oversize bouquets that have been all the rage. 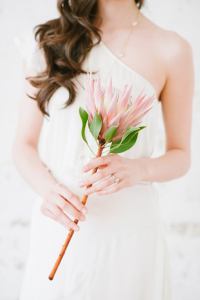 Make your arrangement more minimalist with one made from a single-stem protea.